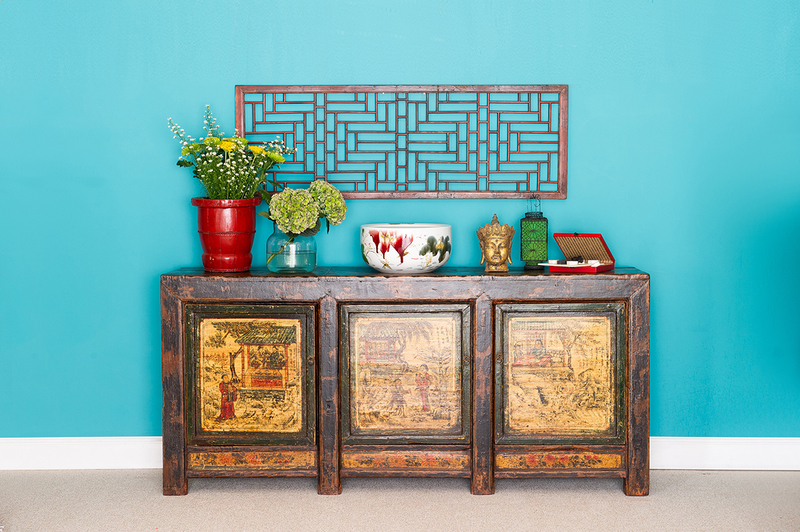 Synonymous with good fortune and joy in Chinese culture, red is the perfect colour to include in your home this Chinese New Year. 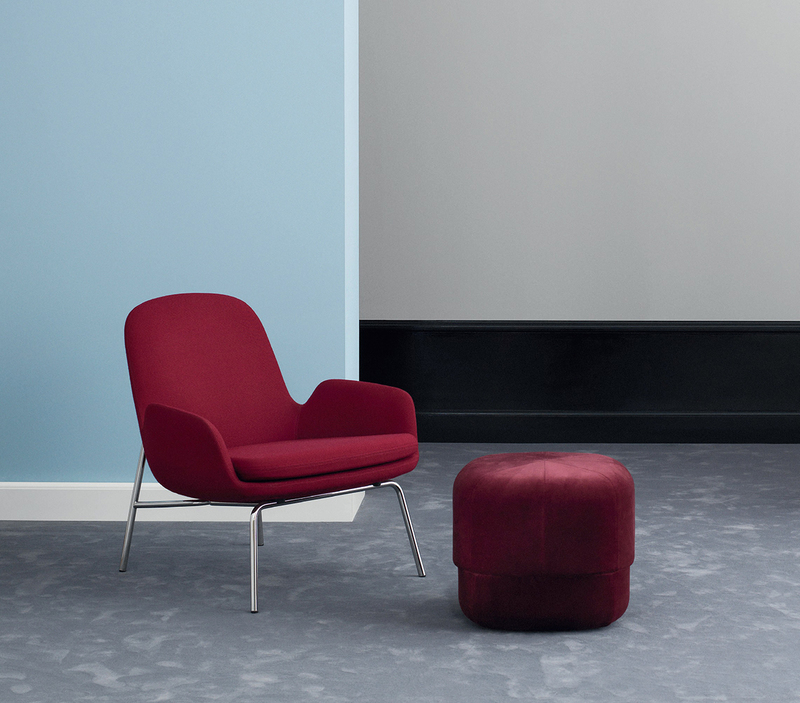 Incorporate it into your sofa or other room fittings for a touch of celebratory cheer. A key component of Chinese culture, motifs are representative of desirable qualities, such as prosperity and longevity. 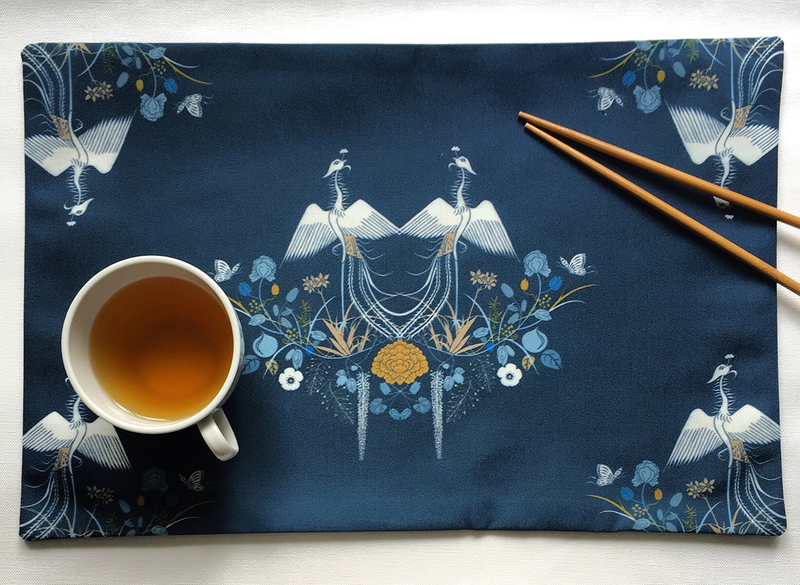 Bring these lucky symbols into your home with patterned accessories like this intricate table placemat from Onlewo, which depicts a pair of phoenixes in a peony garden. Decorating your home for Chinese New Year doesn’t mean that you have to stick to a strictly-traditional sense of style. 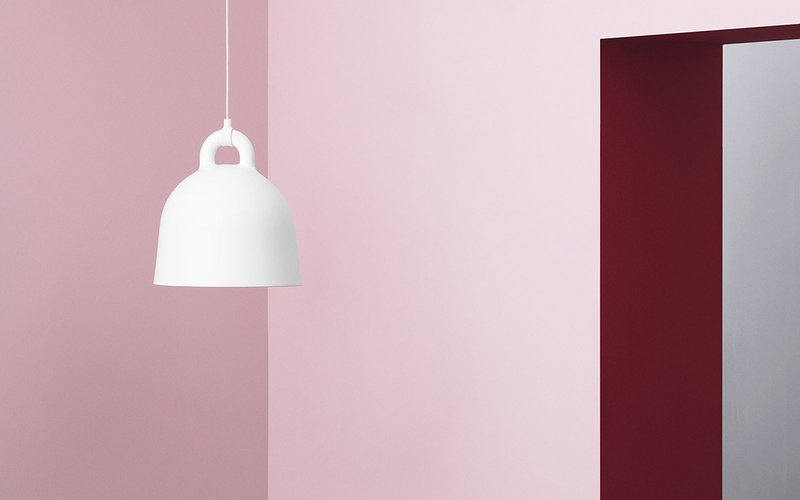 Contemporary Scandinavian fittings, such as a simple bell-shaped pendant lamp, can certainly go toe-to-toe with time-honoured Chinese pieces when it comes to beautifying your home for the festivities. 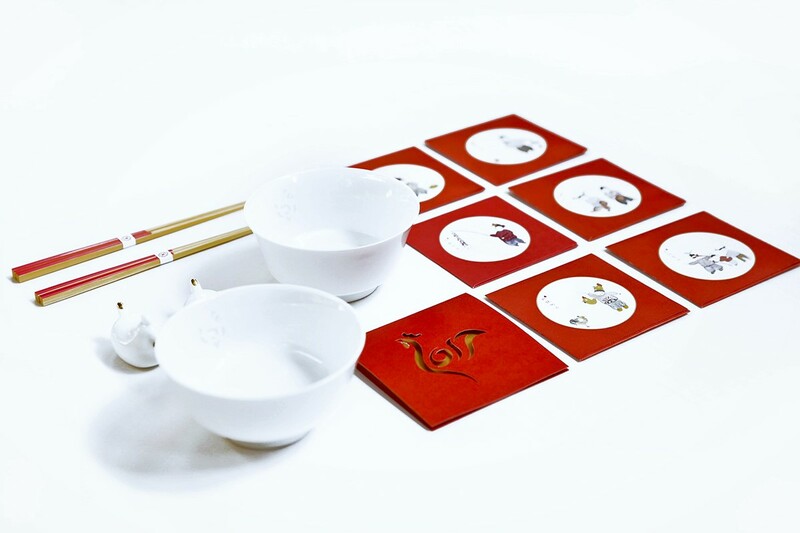 Ranked tenth in the zodiac cycle, it is now the rooster’s turn to shine this Chinese New Year. Celebrate the arrival of this proud fowl with rooster-inspired chopstick rests and handmade papercrafts. When it comes to Chinese New Year, food is one of the numerous delights that many look forward to. 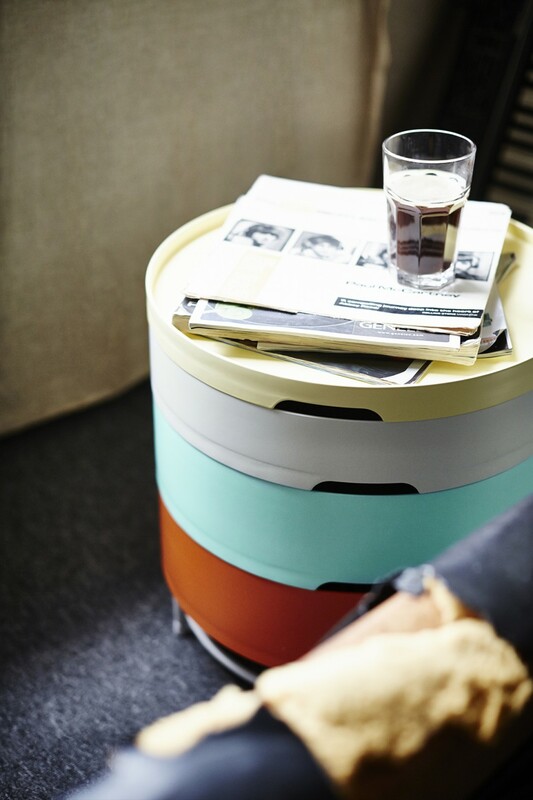 Make your guests feel hungry with IKEA’s storage table that takes inspiration from Chinese Dim Sum food containers. Gold is considered to be a valuable metal by many civilisations around the globe – and the Chinese are no exception as they regard its colour as a symbol of good fortune. Add a shimmer to your home with the help of this dazzling precious ore.
Evoke feelings of nostalgia among the older folks by working classic Chinese elements into your home. 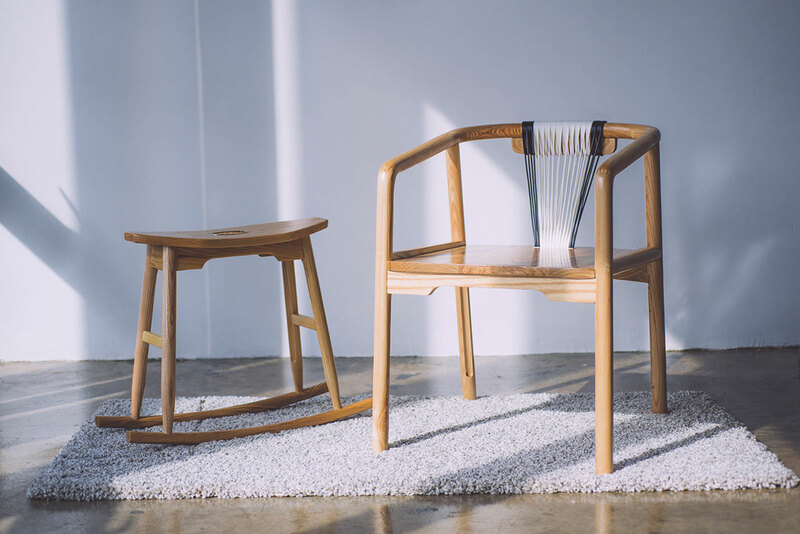 Featuring a distinct Ming Dynasty aesthetic, these artistic seats from Singapore-based furniture label Scene Shang are bound to be popular with golden-agers who have a love for Chinese history. Despite drawing influence from one of the world’s oldest cultures, an oriental-style interior does not have to be rigid and uncompromising. 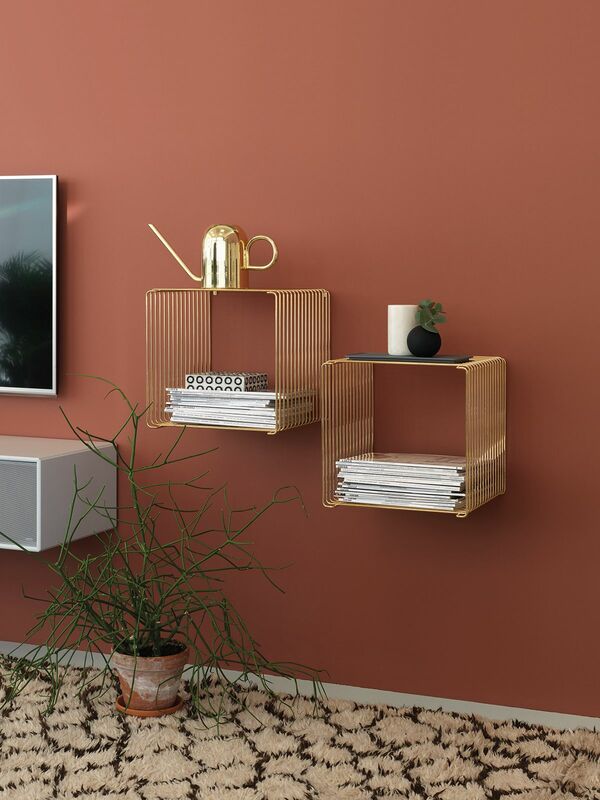 Explore dynamic display configurations this Chinese New Year by bringing together different ornaments and furniture!